Turpan (aka “Turfan” or 吐鲁番) is my favorite city to travel in Xinjiang. In my opinion, Turpan travel is the perfect combination of Silk Road history, Uyghur culture, great food, scenic beauty and convenience. While most travelers tend to flock to the busy city of Kashgar, I prefer to point people to the relative tranquility of Turpan’s village life. However, I don’t always agree with the recommendations of the various travel guides on the market, so I’d thought I’d share my thoughts on my top 5 favorite places to visit in Turpan (as well as a couple “bonus recommendations” at the end). Thanks to the new high speed train in Xinjiang, Turpan can be a simple day trip for travelers but I usually advise people to budget at least 2-3 days of their itinerary for the area. I believe that what’s worth seeing takes a little time. For those who have extra time or who happen to be in Turpan on a Friday, I’ve added two “bonus recommendations” at the end of this list that I think will make your visit to Turpan even more special – they are also two places you won’t find many (if any) foreign tourists! 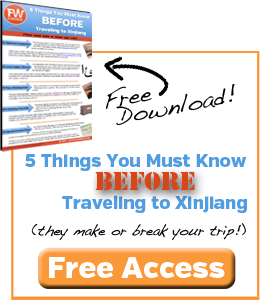 Don’t miss more awesome Xinjiang videos! Subscribe to FarWestChina on YouTube. As you can see, I’m enjoying the use of my drone around Xinjiang! It provides a new perspective on many of the areas that I’ve only ever seen from the ground. Once the sun goes down in Turpan, which during the summer can be pretty late (9-10pm Beijing time), the Turpan night life starts to come alive. The cool of the evening provides the perfect excuse for family and friends to gather outside, chat about the day and eat a late dinner. 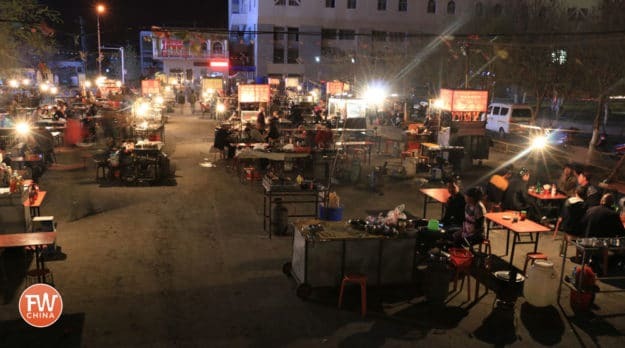 Personally, I love to spend at least an hour sitting at a table near small hole-in-the-wall and taking my time eating Uyghur kebabs, noodles, Uyghur bread and a nice cold drink. There’s something about the atmosphere – the sound of all the people, the smoke from the grill, the children running around – that makes this such a special experience. If you’re lucky, you might even run into an area where locals have gathered to dance and since into the late hours of the night. They’re not used to travelers joining in with them but in most cases they’re more than happy to have you participate! 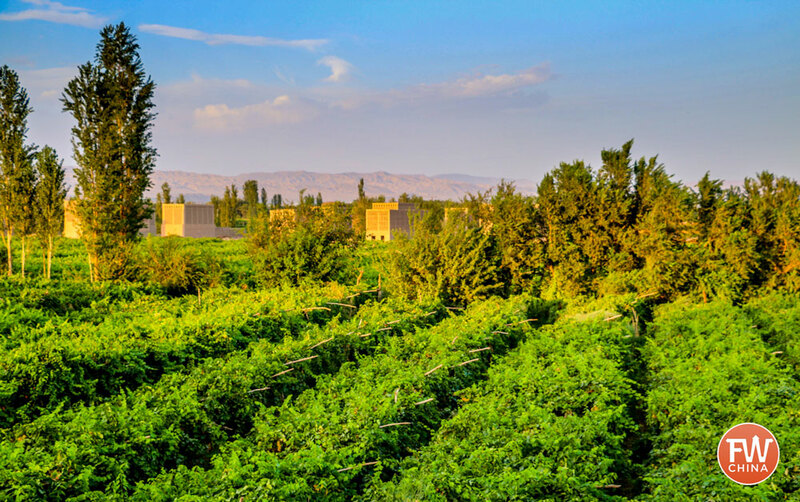 Throughout all of China, Turpan is primarily known for two things: grapes and raisins. For centuries these two products have been shipped all over the country and are prized for their distinct flavors. While the tourism industry touts the official Grape Valley just north of Turpan as the primary place to walk through grape vineyards, the reality is that vineyards practically surround the city on every side. A simple drive 10 minutes out of the city will find you surrounded by vineyards where you can enter without Grape Valley’s outrageous entrance fee. One of my favorite things to do in Turpan is to walk into a random vineyard for a half an hour, wandering deep into the field. Not only do I experience a beautiful silence outside the city, I also often meet locals picking grapes or hanging them to dry who are extremely friendly. Side Note: Many travelers tend to assume that good wine is a natural byproduct of grapes in Turpan. While it is certainly a growing industry thanks to Chinese and foreign investment, the truth is that it is still very young. It is a majority Muslim population, after all, a group that isn’t supposed to consume alcohol! For the time being, don’t expect to pick up any high quality wines in Turpan. 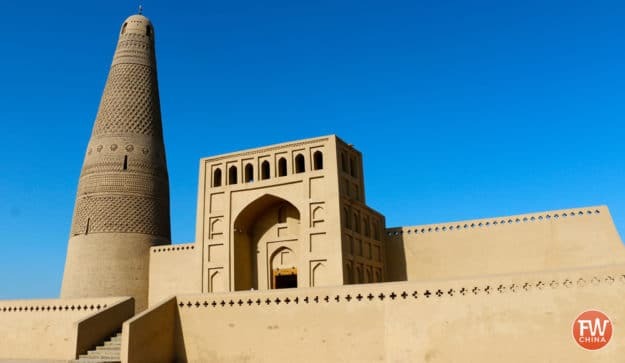 Turpan’s Emin Minaret is the most iconic building in Turpan, one whose picture usually gets plastered on any tourism pamphlet you’ll find about Turpan. There’s a complicated history behind the building that China doesn’t publicize (if you want more detailed history, check out Millward’s Eurasian Crossroads book) but for most travelers the interest lies not in the history but in the architecture. The minaret attached to the mosque was built in traditional Uyghur style, using brick patterns as an artistic statement. Upon close inspection, you’ll find that there are 10 different patterns that encircle the minaret. There’s also a staircase that leads to the top of the minaret, where views of Turpan can be seen in all directions. Unfortunately, due to safety concerns, that staircase has been closed to visitors for more than a decade. I recommend you allot between 30 minutes to an hour to walk in and view the Emin Minaret. You can skip the “Governor’s Mansion”, which has no historical significance whatsoever, and go directly to the main complex (this will also save you about 20 RMB). 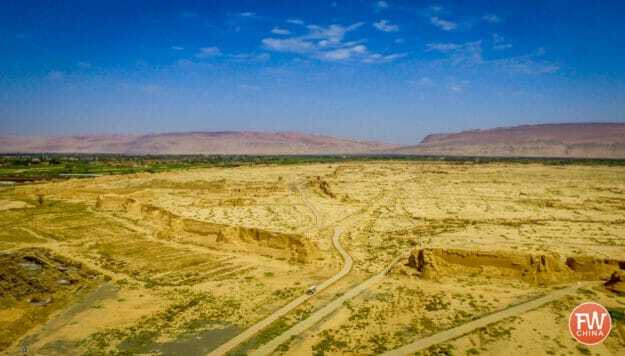 As an important outpost along the ancient Silk Road, Turpan has a deep history that covers a wide tract of land. Throughout the centuries, the administrative center of the city moved a couple times and the result are now-abandoned ancient cities that make for an incredible walk through history. There are two ancient capitals of Turpan that are of particular interest: Jiaohe and Gaochang. The Jiaohe Ancient City (aka “Yarkohoto” or 交河故城) is located on the western edge of modern-day Turpan, perched atop a narrow plateau that comes to a point in the south. 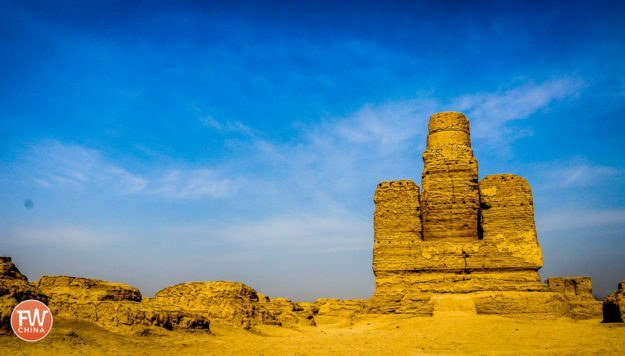 In my opinion, Jiaohe is the most visually appealing of the two ancient cities and also the most convenient to visit (see the FarWestChina Traveler’s Guide to Jiaohe). If you can only visit one, this would be my choice. The garrison was established in the early Han Dynasty and came under both Uyghur and Chinese rule until abandoned at the end of the 14th century. In the middle of that period, the capital of the region was moved to Gaochang Ancient City (aka “Karakhoja” or 高昌故城) in 443 A.D. In terms of size, this ancient city is much larger than Jiaohe, although less of it still remains to this day. Both cities have been a hotbed of archeological excavations since their rediscovery in the early 1900s, yielding all sort of texts, religious relics and household items that date back almost a millennia. Many of these items are in museums outside of China but there are still quite a few that you can see at the Xinjiang Museum in Urumqi and the Turpan Museum. Finally, one of my favorite places for some Turpan travel fun is the Tuyoq Village about an hour east of the city. Nestled in a valley between the beautiful Flaming Mountains, Tuyoq offers Uyghur culture, beautiful scenery and mysterious ancient history. 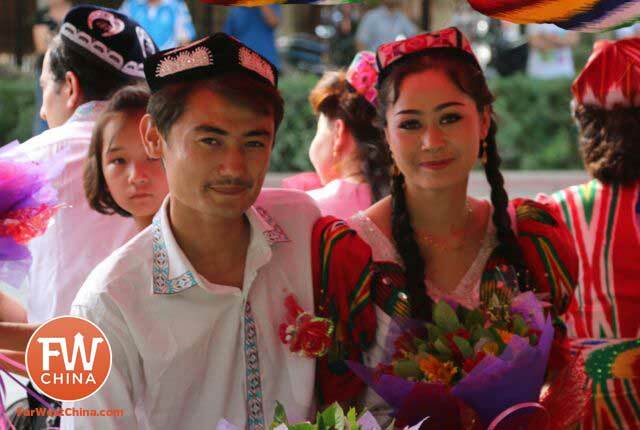 What most visitors love about Tuyoq that sets it apart from places like Jiaohe and Gaochang is that it is a village where Uyghur residents still live and work. It is a rare opportunity to walk through a living museum of Uyghur culture, a look back at life as it used to be hundreds of years ago. Granted, tourism is slowly creeping into the culture of this small village. As more and more people come to visit, residents have begun to demand payment for any picture taken of them and small stands sell trinkets to the passerby. In general, though, it is a friendly, quiet village that is well-worth a visit in my opinion. In the back of the village, on the north side, hundreds of caves have been discovered that used to house paintings and ancient texts. Unfortunately, this area of the town is strictly off-limits and even while I was being escorted by an official CCTV crew this past month, we were still unable to obtain permission to enter. Of course, there are a number of other great Turpan travel destinations including the Bezekilik Caves, the Astana Tombs, the ancient Uyghur karez and more – but these are the typical destinations you’ll find in most major travel guides. Here are two bonus recommendations that you won’t find in any other guides that are worth a visit if you have extra time. 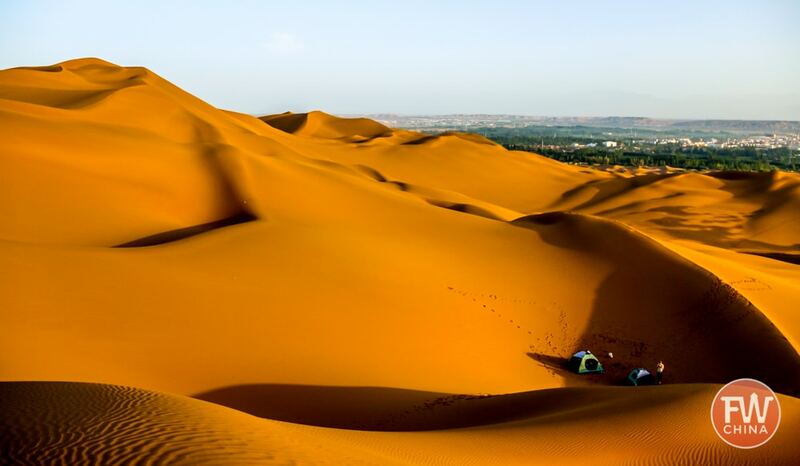 About two hours east of Turpan, near the town called Shanshan, you’ll come to one of the most beautiful and easily accessible sand dunes in all of Xinjiang – the Kumtagh Sand Dunes Park. Officially it’s the Kumtagh Desert, not part of the larger Taklamakan Desert, but the towering dunes here are just as impressive. I’ve ridden a camel in this desert and set up tent within the dunes (see photo above) and I can attest that it is quite an experience. Once you get past the terrible Chinese tourist traps and into the dunes, you’ll find yourself in a genuine, picturesque desert scene. My second bonus recommendation is much closer to Turpan but can only be appreciated on a Friday – it’s the Turpan Livestock Market. 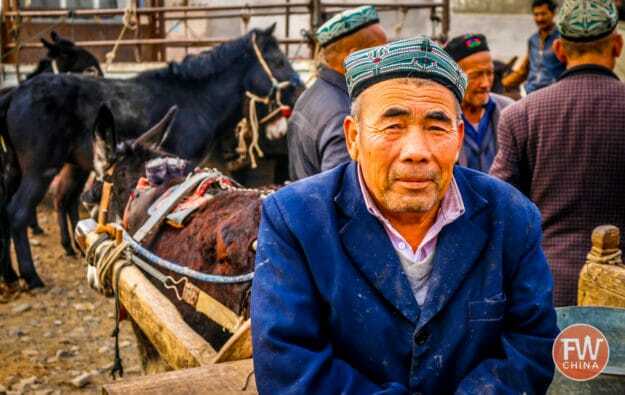 Many China travel guidebooks point you to the larger Kashgar livestock market but completely overlook the one in Turpan. I had just as much fun in Turpan’s market – not to mention there wasn’t another foreign tourist to be seen! Every Friday villagers from all around Turpan bring their livestock to be sold or traded. It’s a lively event with plenty of noise, smells and snacks to keep you entertained all morning. Over the last decade that I’ve spent exploring Xinjiang, I never get tired of a simple Turpan travel excursion. Whether I’m walking through the ancient cities, sitting under grape-filled vines or eating kebabs outside the night market, the city endears itself to me. I believe you’ll have the same experience. 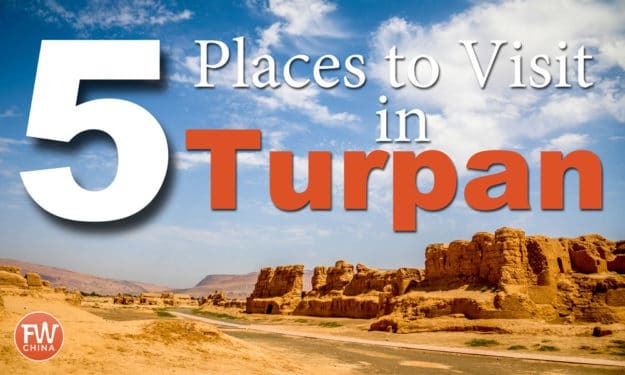 As I’ve said before, though, there is so much more to do than what can fit in this “top 5 destinations in Turpan” list. 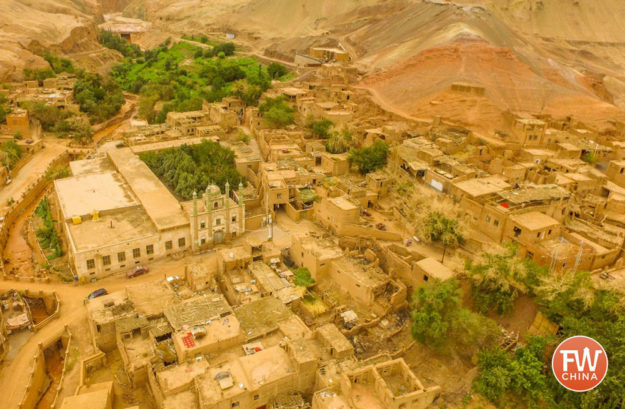 If you’re looking for a more comprehensive overview of Turpan, you’ll find everything you need to know – what to see, where to eat and where to sleep – in the FarWestChina Xinjiang travel guide. Enjoy your time in Turpan and if you have any other places you’d like to add to this list, please leave a comment below! 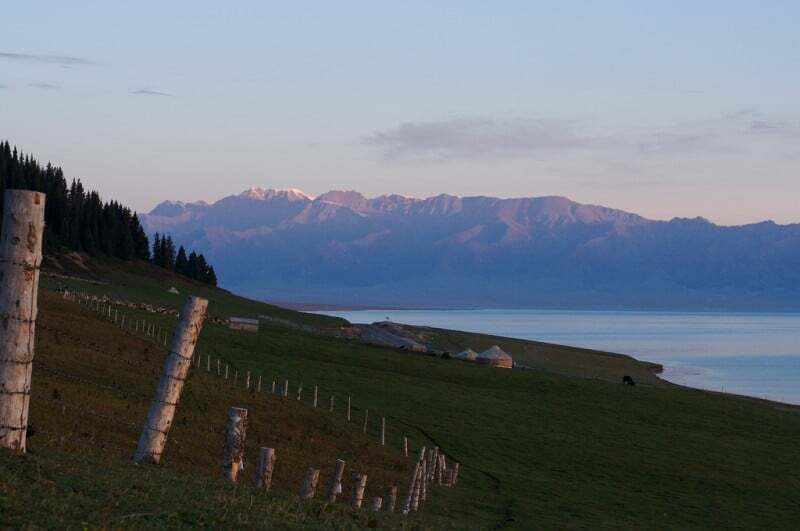 The FarWestChina Xinjiang travel guide has information on the ski resort in Altay as well as others in the region. If you’re looking specifically for “ski touring” though – and I’m not 100% sure what that is exactly – then you’ll probably need to connect with a tour agency. Best of luck, Craig! Nice read and great pictures. Will add these to my bucket list! I’m glad to hear it, Neha! Josh, I’ve been enjoying your FarWestChina pieces on YouTube, and expect to make a return Xinxiang visit within next yr or 2; though not in the dead of FEB for a week in Urumqi as I did this year. brrrr! Things were more quiet for my winter week @ the Kashgar Hostel than for you, as shown on your film piece. For me, my several days @Korla were really worthwhile; it’s more than just a petrocity outpost for oil execs. Thanks for sharing, Michael! I’m curious – what was it about Korla that made you really like visiting? Awesome pictures!, Just curious, would you please share your camera specifications, thx. Hi Abe, I’m not sure what you’re asking – camera specs or individual shot specs. The latter would take a while to detail, so I’ll just say that I use a Canon 70D, a DJI Osmo and a GoPro Hero3 Silver. Hope that helps! Can you give the specific location of the Livestock market in Turpan? Absolutely! Here’s a link to the map of the Turpan livestock market. If you don’t mind, I’d also recommend you grab a copy of the FarWestChina Xinjiang travel guide. The new update will have all the details on this place and many more.